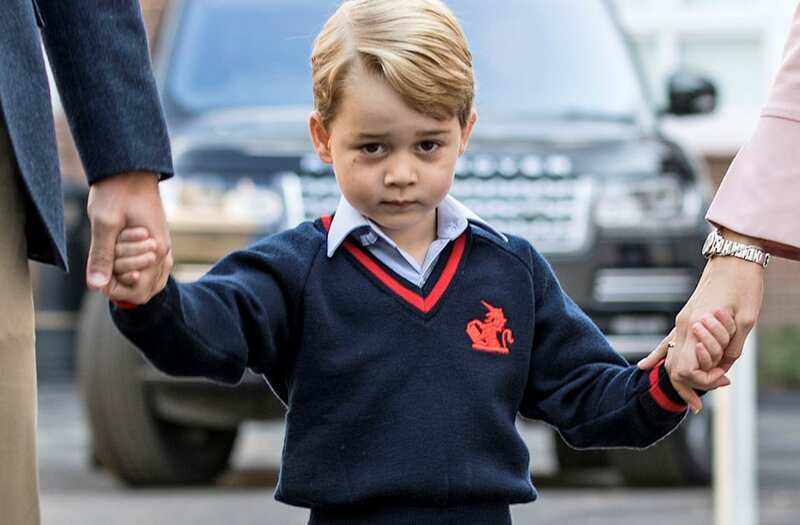 On September 6th, Prince George will return to Thomas's Battersea in London for his first day of school. Unlike last year, when Duchess Kate was noticeably absent from George's first day because she was suffering from Hyperemesis gravidarum, or severe morning sickness, when pregnant with Prince Louis, reports reveal that she will be there to see the five year old off this time around. Prince William will also be in attendance. It'll be his second year attending the prestigious private school, which is known for its competitive academic curriculum and plethora of "specialty classes," such as dance, foreign languages and art. The Duke and Duchess of Cambridge's choice to send their eldest child to Thomas's Battersea was an "unconventional choice" for the royal couple. According to The Daily Mail, the institution can be described as "a very middle class, aspirational area of London full of bankers, journalists and City types — not the traditional Eton-style feeder school royals have been sent to in the past." Prince William and Prince Harry attended Notting Hill's posh Wetherby School and Ludgrove School, before heading off to Eton College and then university. George's school charges more than $7500 USD a term, and is home to many famous alums such as model Cara Delevingne and Florence Welch.